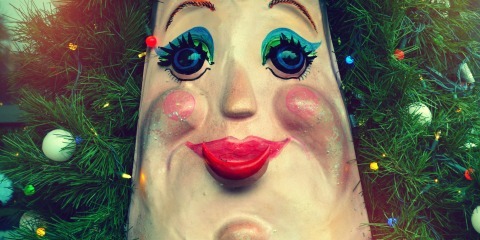 That Fabulous Tree Is Talking Again! 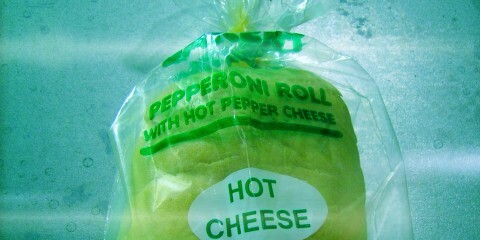 Best Pepperoni Roll in the Valley? Daniel Finsley, Ashley Rew Williams, Jeff Johnson Jr., Jeff Johnson Sr., Molly, Jonathan Napier, Beth Patsch and Adam Bedway. Last spring, a salty baguette trumped T-shirts, coffee and a shave. On Wednesday, the T-shirts are back and hoping to win the crowd over at the 15th installment of Wheeling Heritage’s Show of Hands competition. And this time, the T-shirts are up against pottery, car detailing and records. The four businesses competing include: Attention to Detail, a car detailing company shining things up at 452 Main St. in North Wheeling; East Wheeling Clayworks, a pottery studio, with its wheels turning at 747 Main St., also in North Wheeling; Nail City Record, spinning its business on the third floor of the McClain Building, 40 12th St., Wheeling; and Wheeling Threads, an online design company with eyes on a storefront in downtown Wheeling. 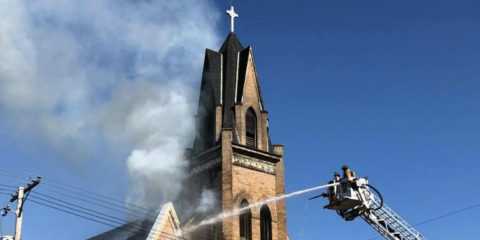 These four were chosen by the Show of Hands committee from a pool of nine applicants, said Alex Weld, project and outreach manager of Wheeling Heritage, the agency who created the crowd-sourcing event. Not until after the four presenters have their few minutes in the spotlight, and the audience gets a chance to ask a few questions, will the ballot box come out, Weld noted. “We want the presenters to have the chance to share their project ideas with everyone because that’s really one of the main goals of Show of Hands — to let the community know about these great projects. Also, some attendees might come with an idea of who they’re going to vote for — but after they listen to the presentations, they sometimes change their mind,” she said. There are many benefits to this experience, Weld said. The winner can expect to receive at least $3,500 toward their pitched project. Orrick, the event’s primary sponsor, donates $1,000. Funds also are donated by Friends of Show of Hands, and the money collected at the door goes directly to the winner. “Other than the money, presenters get to make their pitch in front of typically more than 200 people. They also get media coverage and get their businesses in front of more people. 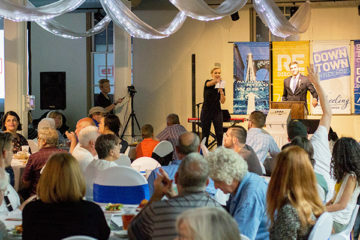 They make great connections, network and benefit from an engaged community of people who want to see them succeed,” she said. Doors open at 6 p.m. with a half-hour of mingling, music and snacks. Laura Cramblet and Brooke Deal will perform original Americana music. The pitches begin at 6:30 p.m. A $5 donation gets you one vote, and a $10 or more donation buys 60 seconds to get the word out about something going on in the area. While the votes are being tallied, audience members also will hear from the most recent Show of Hands winner, Sarah Lydick, famous for her salty bread and owner of Sarah’s on Main. Winners will be announced around 8 p.m. The event is held on the third floor of the Wheeling Artisan Center, 14th and Main streets, Wheeling. And for those who come early, join friends at a happy hour from 5-6 p.m. at River City, on the first floor of the Artisan Center. 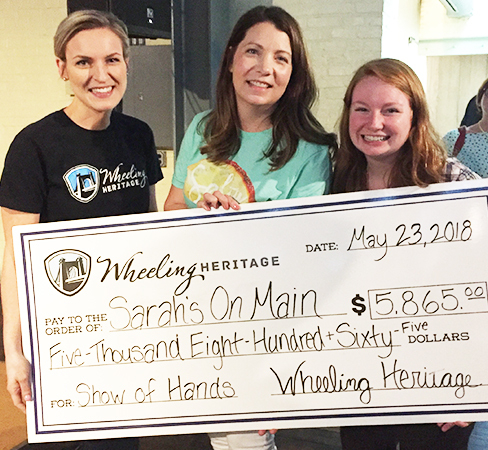 Last spring’s Show of Hands winner Sarah Lydick, center, is flanked by Alex Weld, left, Wheeling Heritage project and outreach manager, and Valerie Piko, Show of Hands committee member. Explain the concept for your business? What do you do? Who do you serve? Attention to Detail is focused on keeping Ohio Valley vehicles clean while educating automobile owners on the importance of a quality detail. The company also looks to provide jobs to the city by employing residents within the community. Attention to Detail is a family-owned business and creates a family-oriented work environment for its employees. 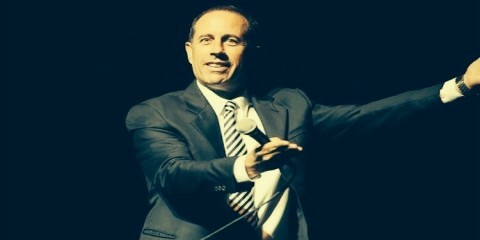 What main selling points will you be presenting to the audience at the Show of Hands? In other words, why should they vote for you? Our goal is to show how we will keep the roads safer during the riskiest driving time of the year — winter! We plan to demonstrate how our service is directly related to accident prevention, which ultimately saves lives. Why Wheeling? 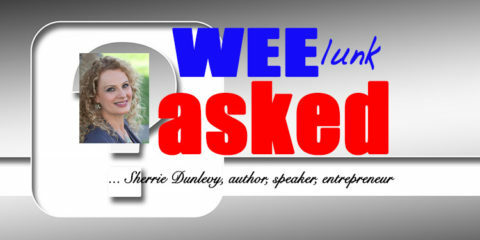 Why here for your business? How will your business enhance the city of Wheeling? Wheeling is home. With more drivers being educated on how important car care is to the life of their vehicle, the city becomes a safer place to drive. The more vehicles we service and protect, the more we reduce the risks of accidents happening out on the road. 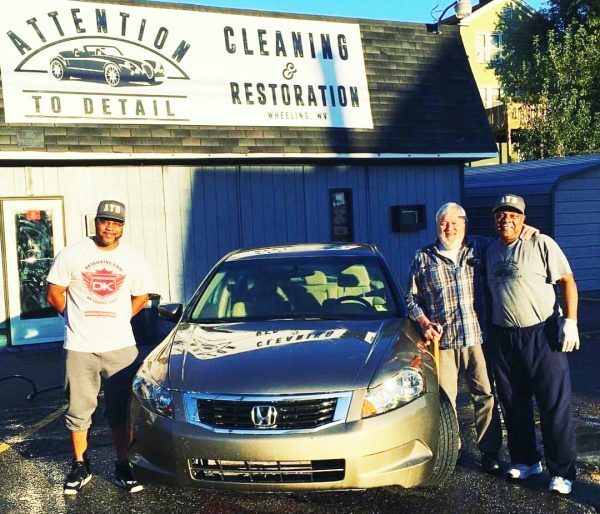 Jeff Johnson Jr., left, with Ron White and his newly detailed car, and Johnson’s father Jeff Johnson Sr.
Are you from Wheeling? Can you tell us a bit about your educational/professional background? Yes, I was born and raised in East Wheeling. I graduated from Wheeling Park High school and then attended Duquesne University where I graduated with a bachelor’s degree in business. After college, I began to study real estate while working in the mortgage industry. I moved to Cleveland, Chicago and then back to Pittsburgh after working in the mortgage banking and real estate industries in each city. Eventually, I moved back home to Wheeling after given the opportunity to work remotely from home. While at home, I was able to participate in community events and build a few family-run businesses. 452 Main St. in Wheeling. If you win, how do you plan to use the winning funds? Currently, the company doesn’t have an indoor facility to service the city during the harsh winter months. I applied to Show of Hands to fund a large prefabricated steel building, which will go on our lot. This will allow the company to expand its services and operate during the winter. We will be adding de-icing window washer fluids, cleaning windshield wipers to prevent wear and tear on blades, and performing ice removal from wheel wells, tires and rims. Has this been a longtime dream? Why? My personal goal has always been to be a successful entrepreneur. I was the first to graduate college in my family so it was important to me that I set a good example as to what a degree and hard work can do for you. As far as a dream … owning a company that’s being publicly traded on the stock market would be it! Feel free to share any personal information you’d like — family, hobbies, etc. I enjoy helping people. I also pride myself on providing quality housing for residents in Wheeling. I’ve had the opportunity to invest in single family and commercial properties since moving back home. In my downtime, I’m always looking for a solid piece of real estate! 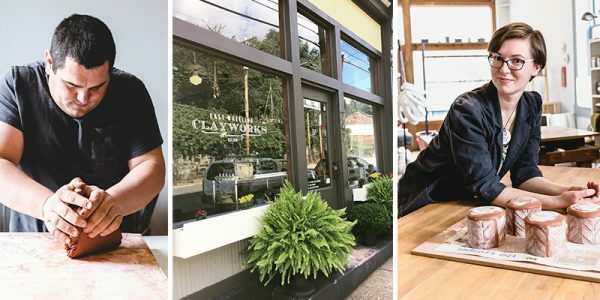 East Wheeling Clayworks is a working ceramic studio that includes wholesale and retail sales as well as community outreach through classes, public and private events, and workshops. We truly believe in the power and benefit of art in our world, and strive to provide an outlet for people to create and learn, even if pottery might not be their thing. So far, we have offered workshops in ceramic technique and art business management, watercolor painting and even started a weekly Knit Night in our shop to give artists of all kinds a community in Wheeling. We have some more exciting workshops coming up soon and hope to continue expanding to other art forms while staying true to our ceramic roots. Show of Hands is a huge opportunity for our little shop. If we win, the community will be helping us to double our space. Not just our work or class space, our whole shop! This will provide us the opportunity to host more workshops and events, and allow us to provide more open/community studio time, increase class and event sizes, and even expand the types of work we can do in the studio. If we win Show of Hands, the Clayworks will be able to grow and expand in every aspect of our business and will be able to bring so much more to Wheeling’s growing arts community. Co-owners Adam Bedway, left, and Beth Patsch with their East Wheeling Clayworks storefront. That’s easy, we love it here! Adam Bedway has lived in and around Wheeling for most of his life, and Beth Patsch came to Wheeling about five years ago. 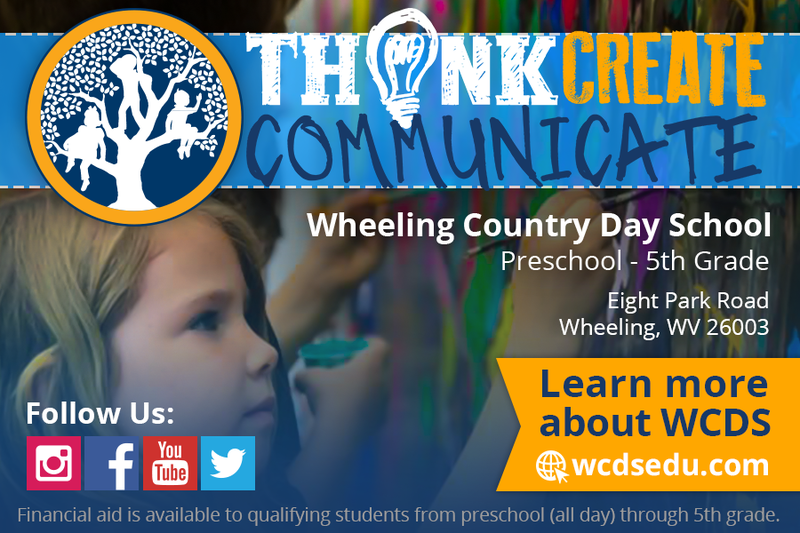 After we both left the Ohio Valley in the course of our education, we gravitated back to this area because we understand Wheeling’s potential and want to help this area thrive. 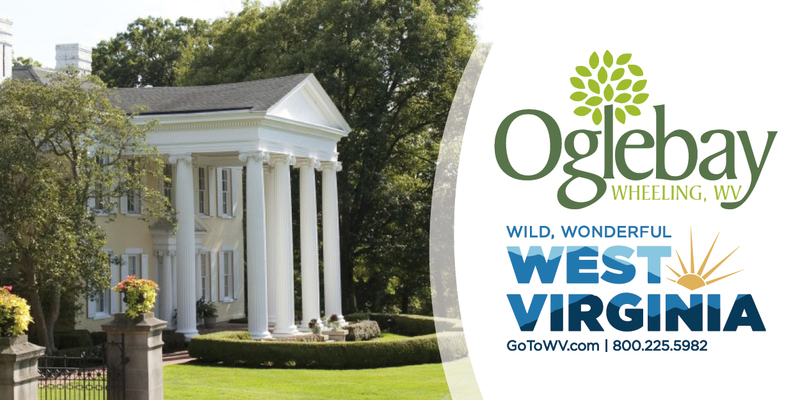 The rich history, outstanding architecture, and deep roots to so many creative and industrial occupations [are] woven into the cloth of West Virginia. If you pay attention, you can feel Wheeling’s story moving around you, and that feeling is truly inspiring. As for how we can enhance the city, we want to not only provide a direct tie to Wheeling’s story, but also provide an outlet for creativity in the area. We love to see people trying something new for the first time, and believe that everyone can gain from having art in their lives. We understand that not everyone is looking to get as muddy as we are, so we strive to offer opportunities in a variety of media to meet budding artists where they are and help them grow as much as we can. 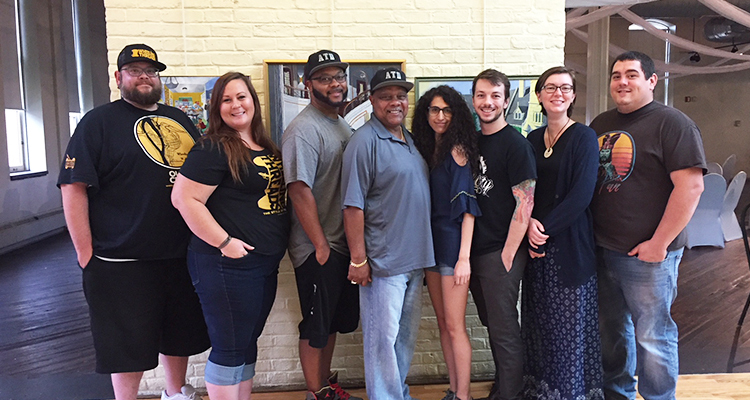 We also love opportunities to partner with other businesses and organizations, and we firmly believe that “a rising tide raises all ships,” and that with teamwork and positivity Wheeling’s community, art or otherwise, will flourish. Are you from Wheeling? Can you tell me a bit about your educational/professional background? Adam was born in Wheeling, grew up in Bridgeport and spent most of his life around Wheeling. During college, he left the Ohio Valley and studied at Tulane University, Ohio University and graduated from Bethany College with a studio art degree. After owning his own landscaping and contracting business for nearly 16 years, Adam decided it was time to go back to his roots and get muddy. Beth was born near Pittsburgh, grew up in Weirton and only came to Wheeling on occasion growing up — mostly to Nailer’s games to be honest. She went to Bethany College for her undergrad in studio art (where she and Adam met in an elective health class, oddly enough) and continued on to George Washington University for a master’s degree in museum studies. After working in and around D.C. for several years, Beth decided it was time to bring her skills back to West Virginia, which is when we both moved to Wheeling and bought an 1850s house to renovate. Together, we have been in and out of the art world for over a decade, and in 2016, decided that it was time to make a go of the creative life we have always wanted. We started small and have worked to grow our business to where it is today. We went from one wheel in a basement to where we are today in just two years, and hope to continue growing and expanding our little business and providing opportunities for Wheeling’s arts community! East Wheeling Clayworks is located at 747 Market St. Yes, we are in North Wheeling now! We are asked all the time if we are going to change our name to reflect the new location, but we’re staying true to our original name and showing love for the neighborhood where we started, and where we still live today. If we win Show of Hands, the money will be used to start renovating the basement of our shop. This total project will cost approximately $8,000 and will include repairing the basement stairs, cementing the dirt floor, replacing the exterior door, and build out of the space to allow for a fully functional community and classroom studio. The money from Show of Hands will help us get a huge jump on this project that would otherwise have been years down the road for our little shop. Our basement footprint is exactly the same as our storefront, which means that by winning Show of Hands we will double the size of our shop and allow us to grow and expand in all aspects of our business. It sounds strange to say that a basement renovation has been a longtime dream, but actually, it has! We have been trying to find the perfect spot for the Clayworks since we opened in 2016. After outgrowing spaces and moving a few times, we have landed in our current location. This space is perfect for us — but we could really use a little more space. This renovation will not only make it our current location perfect for growing our work and the types of activities we offer, but it will also meet another dream of ours, improving one of Wheeling’s historic buildings. One of our favorite features of Wheeling is its historic building stock, and we get the bonus opportunity of providing this building with necessary repairs while building our business in a location we love. When we aren’t at the Clayworks, which isn’t all that often in the lead up to Oglebayfest, we are usually hanging out with our small pack of three beagles (Marley, Nigel and ShortRound), our two cats (Shingles and Reese) or working on our house. We both like to refinish furniture when we have the time and always dream of dedicating more time to the garden every spring. This year, we’re pushing to finish the interior renovations to our house as we are gearing up for some big changes coming in the new year. 2019 is already gearing up to be exciting at the Clayworks! Simply put, Nail City Record is a record store in the heart of downtown Wheeling. However, it’s more than just a record store! Nail City Record is a place where people can come and spend time and experience Wheeling from a new perspective than what’s usually seen. A place where new friendships are formed and where art, music and culture can be discovered, experienced and shared. Recently, NCR relocated from our original location in Elm Grove to our new location on the third floor of the beautiful McLain building. Last year when we participated in Show of Hands, our physical and online stores were not even open. During our pitch, we launched our website, and our physical location opened the following Halloween. Since launching our internet and physical location, Nail City Record has shipped to 45 states and 16 countries. While at our Elm Grove store, we saw the growth and development of a new customer base from around the tri-state visiting and shopping in Wheeling — some driving as far as three hours. Since we opened our new location, we have had customers visit from around the United States and from around the world. So far, the downtown location has had visitors from Canada, Japan, U.K., Detroit, Chicago, Louisville, Dayton, Cleveland, Morgantown, Pittsburgh, Columbus, and the list goes on. Molly with Jonathan Napier of Nail City Record. We have already created a space where Wheeling can discover and experience. 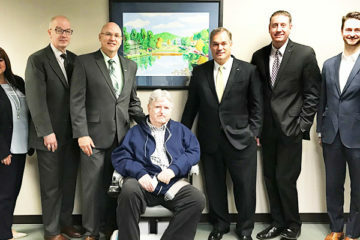 Our challenge now is making that experience better for Wheeling and those who visit. 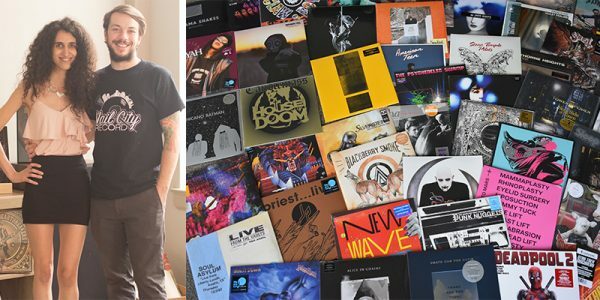 Moreover, record stores, in general, are sometimes viewed as a tourist destination, or a go-to place, when people are visiting new cities; by being in downtown, NCR is bringing more foot traffic and shopping options to downtown. Nail City Record is a place where people can come and spend hours at a time and get lost in the music and the views of downtown. Lastly, winning show of hands will benefit the people of Wheeling by allowing us to reach and engage more of them via marketing and new signage. Jonathan Napier, the owner, was born and raised in Wheeling. I graduated from Wheeling Central and West Liberty College of Business with a degree in business administration. After college, I traveled the states for two years, and I found myself in most of [the] record stores between here and Denver. During this time, I realized that this is what Wheeling was missing, so I came back home, and I started getting involved in the music scene. Molly is from the Mediterranean region of North Africa. She has a computer science background. She was an exchange student at West Liberty University, where she studied communication and broadcasting. We are located on the third floor of the McLain building in downtown Wheeling (above the Vagabond Kitchen). The exact address is 40 12th St., Suite 300, McLain Building. If we win, we will use the money to refine our store and project a cleaner, more coherent brand and experience when people are visiting Wheeling and Nail City Record. The funds will be mainly used for furnishings, signage, marketing materials, upgraded sound equipment, interactive display and inventory (turntables and receivers), new inventory for targeted niche markets. We are interested in travel, music, architecture, art and meeting new people. We are a design business that celebrates the rich traditions of the Ohio Valley area by designing artwork representing iconic people, places and things that are symbolic of our collective enjoyment of HOME. By adding our own special spin to well-known logos and other symbols of the things that make our hometown ours — it’s nostalgia meets progress. While we sell our own designs for profit, we also help our surrounding communities raise money with our art — which includes the Soup Kitchen of Greater Wheeling, YWCA, Easter Seals, NOT ALONE and Toys For Tots. We are also for hire for logo design, brand design, marketing materials, and website design and building. We are a one-stop shop for those in need of professional artwork that will not break their bank. This isn’t about T-shirts, hats or hoodies. … This is about art and community. This is about bringing our city together. This is about using our art to keep Wheeling’s rich history and nostalgic feel ALIVE AND WELL! If we can put a collective smile on the faces of many, or have people take a step back and remember good times when they see our art, we’re definitely doing something right. It feels good to be able to do that! A vote for us GUARANTEES a new small-business storefront in our great downtown area! We are a business with an artistic base, and will be continuing to grow our creative take on our city! Wheeling is our home. It’s wild, weird and wonderful. … Just like us! It just makes sense. This is where our feet are planted. Last year, after seeing so many people come together and support the first Soup Kitchen of Greater Wheeling’s fundraiser using our Charles “MOONDOG” Waldrum art, I had an “A-HA” moment. I realized I should be doing this for a living because people in our area love its icons, history, stories and its surroundings. Our city is tightly knit, and that’s where the appeal lies. It’s truly the charm that keeps our city together. Our business offers a constant reminder of how great our city is. Sometimes people can tend to forget our rich history and storyline, and we see it as our job to keep that heartbeat of awareness going. The more art we create, the more people will be reminded of how much love they have for Wheeling. It’s a privilege to have folks say things like “Oh my God, I miss that place SO much,” or “Wow, I totally forgot about this! I have family that used to work there!” or even things like “This design truly hits home for me, I can’t wait to show everyone!” when they see our art. It’s an awesome feeling! That’s our underlying reason we do what we do. Business partners Daniel Finsley and Ashley Rew Williams with some of their creations for Wheeling Threads. Daniel Finsley, (owner/creative director/graphic designer) was a Bridgeport boy and ended up living in Pittsburgh for many years, during and after art school at Pittsburgh Technical Institute. I actually came to Wheeling for more growing opportunities, when the Santorines gave me my first professional design gig at HighSchoolSports.net/Schedule Star. Before that, I was a stand-alone freelance artist and designer. Ashley Rew Williams (business partner/graphic designer) is a West Liberty graduate, getting her education in art and design. She grew up In Moundsville and loves our area as much as the next person. Both of our 9-5 design gigs are at Mail America, in the design department. Where will your business be? We aim to have our location directly next door to Stradwick’s Fade Cave, at 1904 Market St.
With this funding, we’d like to open our doors in less than a month’s time. $1,000 — first month’s rent and security deposit; $1,000 — small renovations product tables, paint, signage and lighting; $1,000+ — two-color screen printing machine, flash dryer, supplies and ink. The remainder will be used for adding even more inventory and an onsite professional printer. Ashley’s and my dream is one in the same. We’ve both worked diligently to create a genuine presence in our art community, and we want to be a part of it in any way possible. When we created Wheeling Threads, we both knew it was going to be something special. … Something that our city needs. We’re so grateful that we can put a smile on so many faces when they see our art. Daniel is an avid painter and illustrator, loves to spend time cooking awesome foods, spending time with his little girl, Arcadia, producing and recording hip-hop, and watching as many movies as possible. Ashley is a chairman for the Ohio Valley Roller Derby girls, handling the design work for their programs, flyers and handouts. She can be found “jamming on her planner” and raising her two cats.